This database is current up to the January 2011 release of the SSDI distributed by the Social Security Administration and contains a listing of individuals whose last known residence, or last Social Security benefit, was in Van Buren County Iowa. The national version of the SSDI is available at other locations on the Internet. 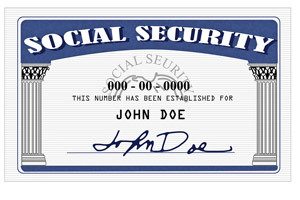 A good source of information can be found at Social Security Death Index Guide at ancestry.rootsweb.com. Or click here to browse the database.